Prominent & Leading Manufacturer from Ahmedabad, we offer bottles liquid filling machines, water filling machine, lubricating oil filling machine, industrial mineral water plant, automatic four head liquid filling machine and automatic bottle rinsing filling machines. 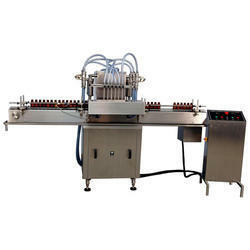 We are offering Bottles Liquid Filling Machines to our clients. 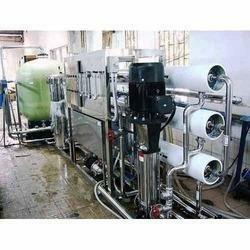 Allpack Engineers is leading manufacturer for water filling machine in ahmedabad Gujarat. Water filling machine is used to fill mineral water in bottles. if we required labeling machine can attached with this filling machine. We can fill 1000 Box of 12 bottles in 10 Hour working. We are providing one year replacement guaranty with this machine. All Pack is the leading manufacturer of Automatic Lubricating Oil Filling Machine in Ahmedabad.Automatic Lubricant Oil Filling Machine:- With phenomenal market understanding, we are able to introduce an extensive range of Lubricant Oil Filling Machine. 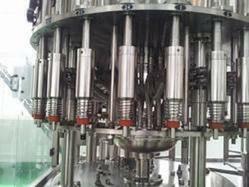 The machine is used in filling lubricant pouches and bottles. The capacity of the offered machine varies from pack to pack and material to material.10-500 ml to 1 liter weight and 20-60 bottles per minute is produced by the provided machine. Also, clients can get the machine at industry leading rates from us. Allpack Engineers is the leading manufacturer for Industrial mineral water plant. We are the trusted and well-reputed manufacturer and supplier of superior quality Industrial Mineral Water Plant. We are offering Automatic Bottle Rinsing Filling Machines to our clients.Machine is used to fill edible oil, Mustard oil, pharma liquid, Milk, Buttermilk, Ghee etc. 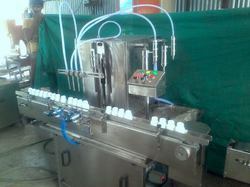 we are providing heavy duty liquid filling machine with easy to operate and maintenance free machine. machine is available with one year replacement guaranty and free service. We are the leading manufacturer of automatic 24 BPM Bottle filling and capping machine.We are able to provide our prestigious clients with an optimum quality Mineral Water Filling Machine. Our provided water filling machine is manufactured under the direction of our adroit professionals using high-grade components and the leading technology in compliance with set industry norms. The offered is highly appreciated by our respected clients owing to its unique features like low power consumption, excellent working efficiency and easy to operate. 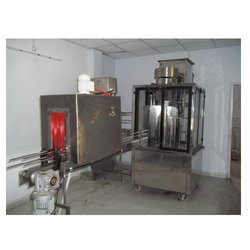 Bottling Plant is suitable for filling water, juice, milk and edible oil in bottles. 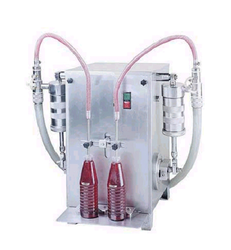 There are two models 4 Head liquid filling and 6 Head liquid filling machine. Machine can fill up to 18 to 30 Bottle per minute. With the help of our dexterous workforce, we are engaged in the manufacturing and supplying of a wide array of Bottling Plant. The best quality filling head, washing head, capping head, air conveyor and slat conveyor is used in this Bottling Plant to make it more efficient. Because of the smooth functioning and outstanding features, it is highly demanded by our precious clients.